QVC. There is a dichotomy going on at QVC’ this week. On the one hand, clearance is going on for Fall fashions including coats from Dennis Basso, in some cases even on easy pay. On the other hand, new featured price Fall fashion is being offered by Dennis Basso and George Simonton, among others. What may be happening is that designer overstocks from last year are being sold as clearance at the same time new Fall merchandise , with special pricing, is being offered to boost flagging sales. At any rate, the bargain hunter can pick-up some bargains at the same time seeing how they will fit in with the upcoming season’s trends. Worth a looksee! Lane Bryant Instore End of Season Blowout Sale. Great deals on summer togs including tops, slacks, and jewelry. Most items are 50% off markdown price, and be sure to bring in your coupons. Buy $75 worth of sale items and apply the coupon for an additional $25 off. This can equate to getting some items absolutely free. In real terms this means merchandise that retails for $150, you can end up paying only $5o! That’s a total savings of 70% off. Lane Bryant is also getting a special line of jeggings for Fall. Tip 1: At QVC check out the “Savings on Style Price” and “Fashion Outlet Price” of your favorite designers like Bob Mackie, Koos Of Course, Susan Graver, and Citiknits. Usually QVC prices its apparel at half of suggested retail price and this added savings is approximately one-third off that price. By shopping these price listings, you have a better chance of getting your size and selection of color than Last Clicks. Tip 3: Go to mall outlet of the shopping network. 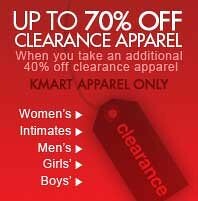 At Mall of America, QVC has a store which has some super savings in clearance. The last time MDM was down, peridot jewelry selection was fabulous and the savings matched! ShopNBC has its’ home base in Minneapolis as well. Tip 4: Check out auctions such as ShopNBC Auction. Many items that were out-of-stock can show up at this auction. Remember these are offered as last one items either by style or size and do your homework on the price. You don’t want to pay more than the item’s previous sale or clearance price. Tip 5: Value pays, Flexpay, Stretch Pay, and Easy Pay are ways to purchase items from the networks especially on large ticket items interest free. Several things to remember: initial payment will include shipping and handling, and make sure that you will have money or credit available when the other payments come due. It is best to keep a record of such purchases and lock-in payments to your budget. As with any extended credit, you can get into trouble if not managed responsibly. Sold Out – Or Is It? Remember Item Number. Items can be checked to see if the site/shopping network has received more stock almost indefinitely during the season. Sometimes an item may come back into stock at a lower price. Even clearance numbers should be written down in a notebook. When Possible List Item In ‘Wish List.’ Once an item has been put into your wish list, many online retailers will relist the item on your wish list when it comes back into stock. Check Online Regularly. Persistence is a virtue in bargain hunting. If the item is listed at a terrific price during a holiday weekend sale, wait until 3 or 4 days after the sale to recheck stock. Also MDM recommends bargain hunters check for Christmas and other holiday returns, especially apparel, at least through the end of January. Check ‘Auction’ Listing. For those online retailers that also have an “auction” listing, reappearance of an item make their way to this venue albeit in very limited quantities. Keep In Mind: An Item Is Not Sold-Out, it’s just Temporarily Out Of Stock. Unless it is one a kind, you’re bound to find it or a facsimile again, it is just a matter of time.